Hey there friends! I apologize for not managing to get an article out last week; final exams have been pretty stressful, but I’m almost finished with my last year of undergraduate college. I’m going to miss Oswego, mostly because my location is a big reason I’ve been able to become a little successful in this little niche of a community. I’ll still be able to visit the campus once a week for graduate classes, but it’s pretty clear that my strategies in making money through this little side hobby will have to adapt now that I can’t stop by the shop and buy collections, or restock the case on a whim. 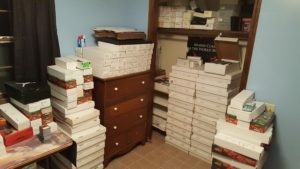 Well, my locally famous 1k for $7 boxes have died down a lot over the course of this past year. That’s partially to be expected, I suppose; there’s only so many thousands of bulk commons and uncommons you can force down a college town’s throat before they satiate themselves for a while. While moving to a new location approximately an hour and a half away means that I’ll have a semi-new Craigslist stomping ground, I do need to adapt and have a more consistent outlet for bulk commons and uncommons. This week (and possibly in the next few weeks depending on how long this ends up being), I’m going to go a bit more in depth on a topic that I briefly tossed out a few weeks ago; specifically referring to “The Blueprint:” an extremely in-depth common/uncommon buylist created by Thomas Dodd “@Amistod” and Zach “@ZachSellsMagic”. I got a couple of questions last time I casually mentioned it about whether it was a secret #MTGFINANCE cabal thing where only the elite scientologists could join, and it’s not that at all. So these are a few pictures of what my room at my Dad’s house looks like right now. 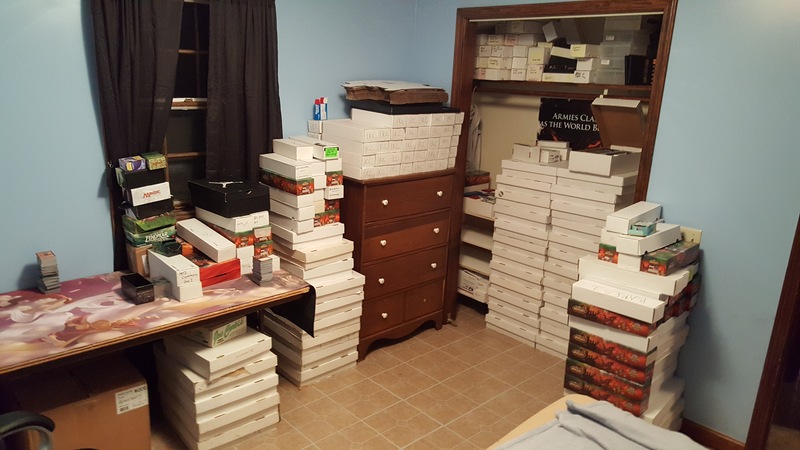 I know one of the boxes has “RARES1” scribbled across the top, but trust me; it’s all glorious bulk. 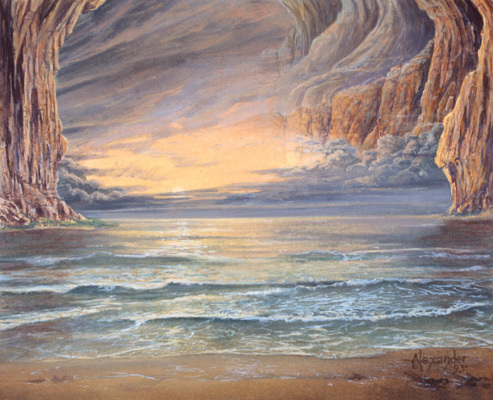 Some of it’s picked, some of it probably has Swords to Plowshares and Unlimtited basic lands. Some of it is sorted out by set, and some of the cards are upside down or backwards. 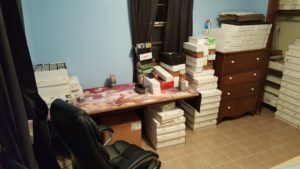 I paid anywhere between $3 and $5 per thousand on all of this, paying more when I knew that there were probably unsorted treasures and less when I knew it had been picked clean. At this point I’m pretty maxed out on bulk for the moment, so I’ll probably have to dial back any current bulk purchases to between $3-4 per thousand while I deal with this pile. So what kind of magical buylist is going to make this all worth my (and more importantly, your) time? Well, let’s show you an example page to demonstrate what kind of cards we’re talking about. While there will hopefully be some Swords to Plowshares and Blood Artists in that bulk, I’m actually going to be picking out and sorting these types of cards…. 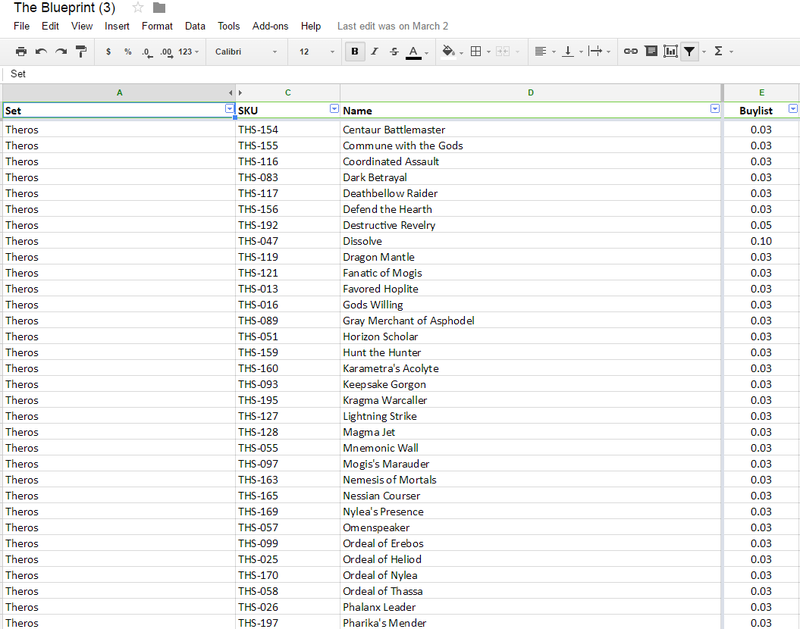 Remember how people like me probably told you that Theros bulk wasn’t even worth picking cards out of post-rotation? Well, now you can get some sweet dollars for several of the individual cards in the set; three cents per card doesn’t sound like a lot, but when you think about it as $30 per thousand it gets a lot more enticing… we just have to put in the leg work of set sorting and alphabetizing everything, then shipping it all to our friends in Georgia. Now, what would be the best way to go about that…. Set sorting and alphabetizing has always been my mortal enemy because its’ so freaking tedious, but Netflix and Spotify should help with that to a degree. 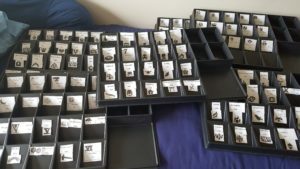 This little project is something I worked on for a good chunk of spring break, and I’d like to give a shout out to John from Card Advantage and my fiancee’ Emily to helping out. While my scissors and tape skills are not exactly the most renowned, it’s certainly functional for its intended purpose. Sorting your bulk by set will make the following step much easier when you’re working with a bunch of individual smaller card pools. If you’ve been playing for a while and have empty 1K or 5K boxes lying around, it’s a great idea to label these for each set or block; depending on how many cards you’re working with. Sorting by set and alphabetically will scale with the size of your collection much better than sorting by something like color, where your piles will grow to an unwieldy size. Sorting by set is also much easier and faster when you hold the cards upside down. It’s not exactly intuitive, but it lets you see the set symbol first and foremost without looking at the rest of the card, put it into its correct section, and move on. As you may have noticed in my picture of all the sorting trays, I left the four deep pockets empty for each tray intentionally; I can save those for foils, foreign cards, rares, damaged cards, etc; we don’t want to accidentally sort a Flameblade Angel when we could actually sell it for 25 cents, do we? 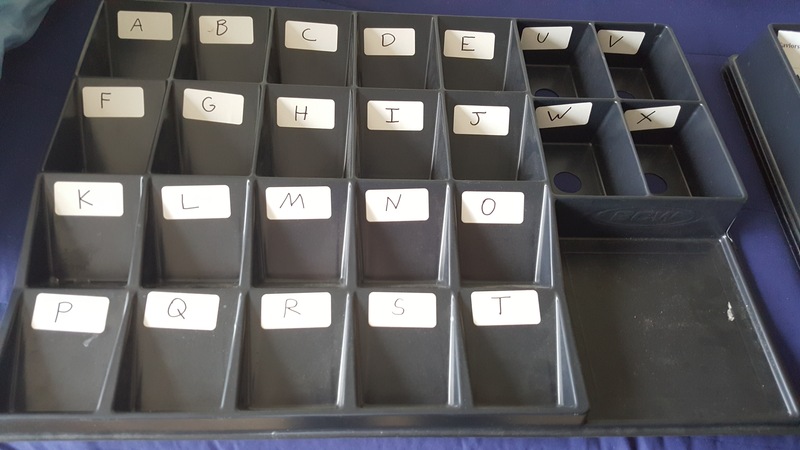 You’ll notice that my sorting trays are chronologically ordered instead of alphabetically, but it will be much easier to add new sets along the way. When Eldritch Moon comes out, I can just print out the set name and symbol and tape it next to Shadows over Innistrad. Then we wait for the Blueprint to get updated, and start buying bulk once again. 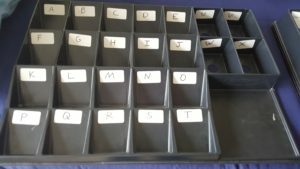 In case you were about to scroll down into the comments section or hit me up on Twitter about where I got those dividers and sorting trays, I can recommend BCW supplies. While their shipping costs are absolutely ridiculous sometimes, it’s definitely worth buying from them if you plan on ordering enough materials to go above the free shipping threshold ($80). This is a method most of us are a bit more familiar with, so I can spend a bit less time talking about it. 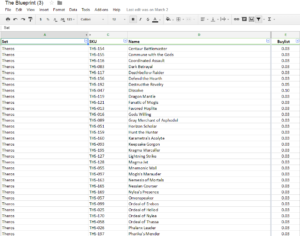 Alphabetize each set, so that you have your 40 Archetype of Aggressions first, followed by your 18 copies of Archetype of Courage (which is a 16 cent Magic card, by the way). Again, I prefer to use the BCW trays but there are a couple out there that work equally well. I know that CoolstuffInc sells a pretty high quality tray, but $31+shipping is a dealbreaker for me when this one works perfectly fine. I got the stickers from the video game store where I sell cards, but anything should work as long as its’ clear and distinct. So now we’ve got several thousand cards worth at least .03 a piece, all set sorted and alphabetized, with each set in alphabetical order as well. What’s the best way to ship these to Georgia? Well, first I recommend making sure that the cards are packaged safely so that none of the cards are able to move or become damaged in transit. It would be a real downer if you ship several hundred dollars worth of cards just to lose a significant percentage because they weren’t tied down safely. 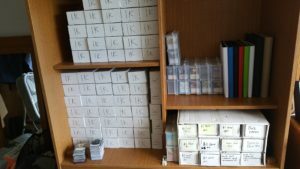 Packing 1K boxes full to the brim should prevent any movement, and boxes that only have a few hundred cards should be filled with some other sort of filler to prevent them from moving around. 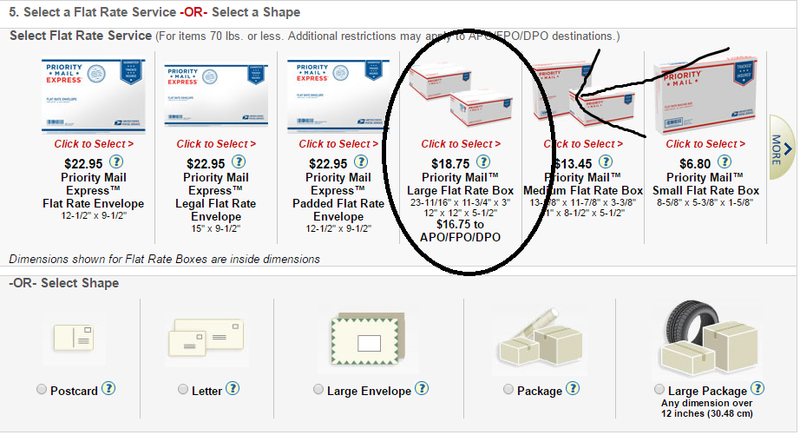 A USPS large flat rate box costs around $19, and holds around six 1K boxes, meaning we’re paying around $3 per thousand just to ship. Again, that’s definitely an unreasonable number if we’re planning on selling these via Craigslist or mailing them to SCG at bulk prices, but we’re not. We’re spending a few days to drain every ounce of value out of the cards, and the dried husk of un-blueprintable stuff can be bulked off later to a vendor like CSI or SCG to cover parts of our shipping costs. You can head down to your local post office and grab several of the unfolded boxes, then package them up at home and bring them back when you’re ready to pay and ship. Just remember to email Thomas first with a confirmation of the list that you’re shipping! You may have noticed that there aren’t actually any cards in the process of being blueprinted right now. I have final exams until next Friday the 13th, and then the week after that will be buylisting season until July 1st. 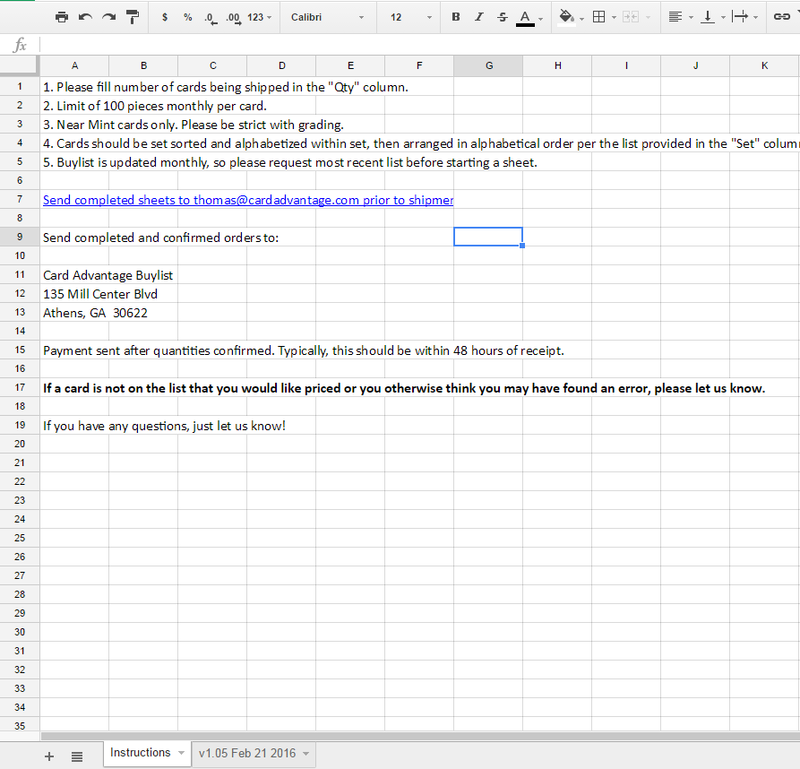 If you’re interested in this kind of mtg finance, I highly suggest tuning into my next few articles as I try this out first-hand and report my results. If you have any questions, hit me up on Twitter at or in the comments section. If anyone is interesting in getting a copy of the Blueprint, please email send an email to thomas@cardadvantage.com. He’ll be more than happy to help you out. Disclaimer: I was not paid or given any sort of incentive by Card Advantage to write this article about them. The only incentive is the ridiculously deep buylist and friendly people who created the Blueprint! I will be at GP New York City this weekend from Friday at noonish until Sunday, depending on if my friend day 2’s the event. I will be posting vendor hotlists on Twitter at @Rose0fthorns, so be sure to pay attention to that if you plan on going to the event or want to keep an eye on some cards that vendors are hot on. It’s probably a little late to give this tip out for GPNYC, but it should come in handy for future Grands Prix that you plan on attending. I mentioned this a couple days ago on our podcast Cartel Aristocrats, but it bears repeating:If you plan on staying in a hotel and booking online through a website like booking.com or Expedia, I highly recommend doing your research into the price and fees of your stay, then calling the hotel directly to try and negotiate a price while avoiding those booking website fees. The hotel knows that they have to throw away a percentage of your money to those sites, so calling them directly and asking “What is the cheapest price you can give me if I book right now over the phone without hotels.com?” has a solid chance of cutting out the middle man and getting you a much better deal. Hope to see some of you at GPNYC! I know I’m a big DJ fan boy, but well done and very informative. I enjoy figuring out how to best grind out the value of things as well. Thanks! I appreciate the kind words 🙂 I’ll try to be more watchful of the comments section more often, I know I’m super bad with replying to comments down here because I don’t get an email notification. Nice article, I really liked it. I used to grind bulk during my early years but after acquiring the cards I needed for my collection fell out of the habit and now just cant seem to find the will to go through and pick up .10 anymore. Do you have any advice on how to reignite that fire? Thanks in advance. Hmm…. That’s a tough one. I guess I just really enjoy seeing the faces on casual players when I sell bulk rares for a quarter. Watching friends flip out over werewolves and krakens after hearing Standard grinders complain about everything reminds me why I love bulk and casual stuff. 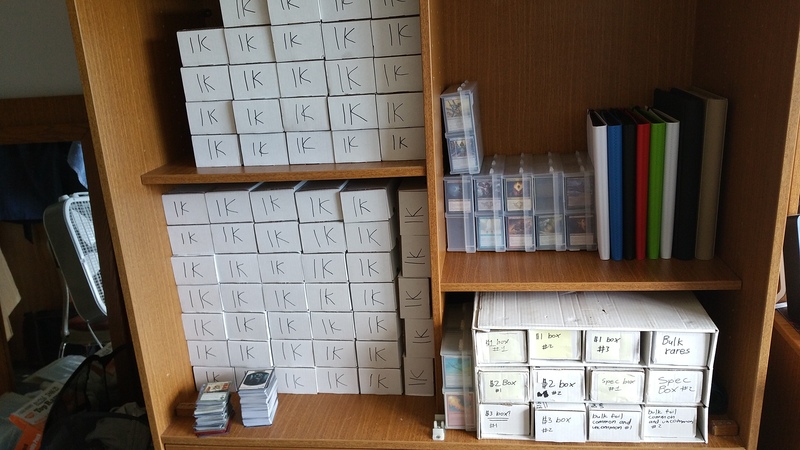 Sooooo questions…to start I am dealing with a much smaller magnitude of bulk cards, think around 10k. 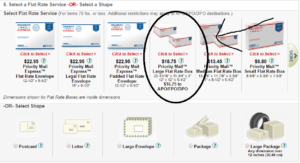 Note: I have an $80 BCW order pending, and am unsure if I have the right stuff in my cart. 4. Was debating a card tower from BCW, seems like a waste of money though. 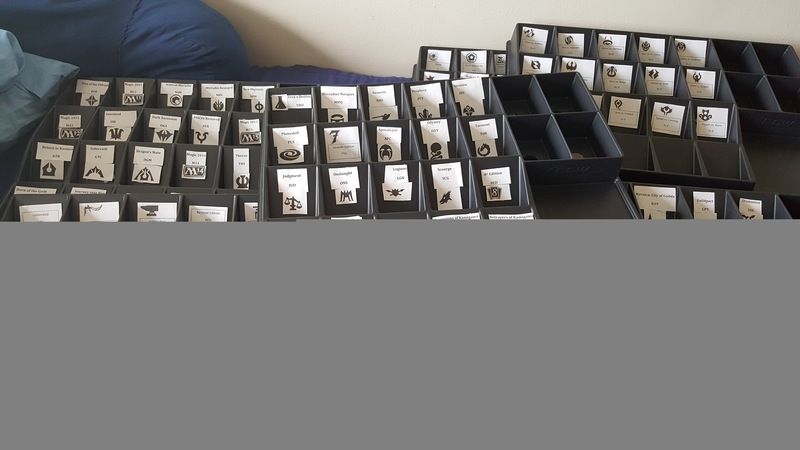 What do you think the best card quantity boxes to purchase based upon my collection size? 6. When you put the dividers in the boxes, do you just write on them with sharpies? Stickers? 7. Thanks for the great articles, keep them coming. Hmmmm…. I think you might have inspired an article for next week! 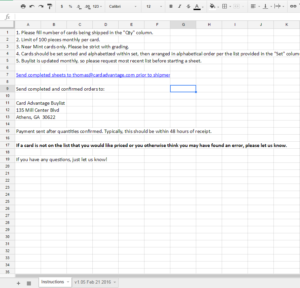 If you’re in a rush to finalize that BCW order, I can have an email for you tonight or tomorrow with summary answers. Sorry for the late reply though, but you raised a ton of great questions that I could go into depth with! Bulk is something that can be so managable if the proper organization is set into place. I know this involves minimizing the cards held in your hands multiple times. I already knew some of your tricks. The cards being sorted upside down was my favorite. My biggest problem is how to effectively create a system that allows for new cards to be put in. I really don’t want to end up doing this twice. Any of it. I like sorting cards, just hate doing it multiple times different ways. So, Yes. I’m looking for a start to finish list of the great card sort. You were pretty in depth already but, what is most troubling to me is how to have a system that is tolerant to input of new cards (especially collections from a large variety of sets). Then my second worry is the BCW order, this will definitely have to be a one time shot due to their shipping setup. And I’m not in a rush, pile of bulk hasn’t been touched in months, it can stay there another week. Also disclaimer: I have a reputable TCG account but have never offloaded to anywhere other than TCG or locally. Guess I am intimidated by buylists.